This is an attactive specimen of clear, Smokey Quartz Crystal on Orthoclase scattered with translucent Cleavlandite measuring 13.5 x 10 x 6.5 cm. 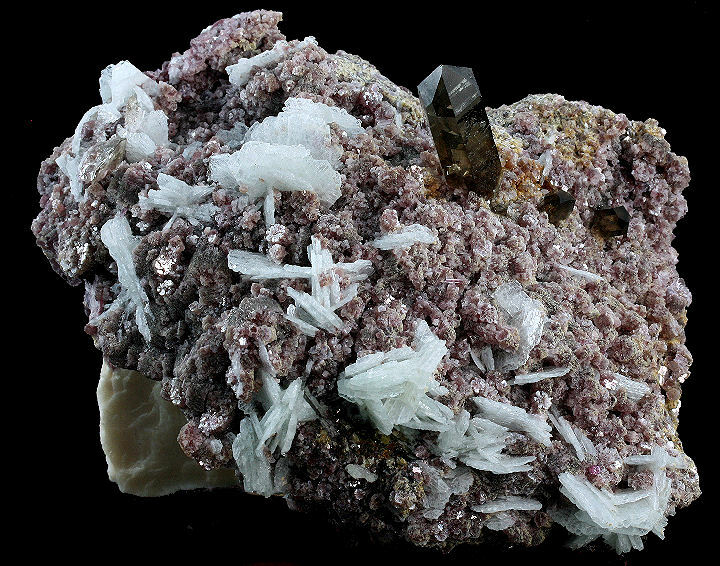 This specimen is a very attractive example of clear Smokey Quartz on Blue Orthoclase covered with Lepidolite and sprinkled with Cleavlandite crystals. A stunning specimen measuring 13.5 x 10 x 6 cm.